Join the education innovator this Thursday, November 21st at 11am (Eastern) for a live Q&A -- submit your questions ahead of time using the "Make a comment" box below! 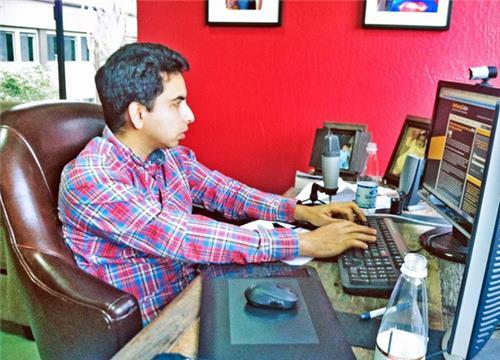 Sal Khan is a former hedge fund-analyst whose attempt to tutor his young cousins in math over YouTube started an accidental revolution with a simple mission: "to deliver a world-class education to anyone anywhere." He's answering your questions about the future of education this Thursday at 11:00am (Eastern). UPDATE: THIS EVENT HAS BEEN MOVED TO NOON EASTERN TIME. 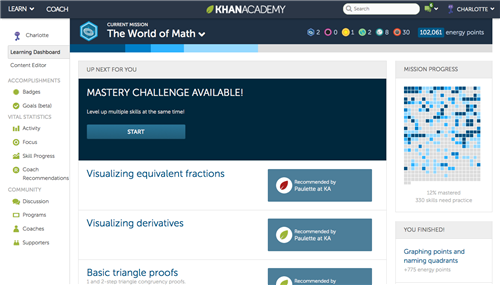 Khan Academy features over 5,000 free instructional videos on a wide range of topics. 4 million exercises are completed on the site's adaptive coaching platform every day. Founder Salman Khan has been credited with popularizing the term "the flipped classroom" -- but during our live event this Thursday, we'll talk about why that term doesn't capture the complexity of harnessing technology to best serve students. We'll also discuss Khan Academy's use of cutting-edge data analytics -- including one hack that boosted students' performance by 5% -- and the human side of blended learning. To submit your questions for Sal, use the "Make A Comment" box below. He will join us live at 11 am. E.T. on Thursday, November 21st. See you then! Hello, everybody! We're happy to see you all here. Sal will be joining us in just a few minutes. If you have any more questions, use the comment box on this page! The flipped classroom is an idea that predates Khan Academy. It is the idea of getting lectures at home and doing problem sets (traditionally done as homework) in the classroom with the teachers and students. We became associated with it because I started receiving letters from teachers as early as 2007 who were using my videos in this way (and I mentioned it halfway into my TED talk). I think it is great in that is focuses class time on interaction and allows students to access explanations as they need them. At Khan Academy, however, we think that removing lectures as the focal point of the classroom allows you to go even further. 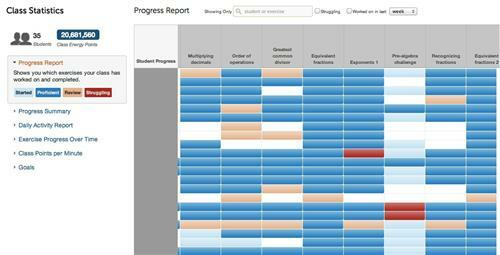 Now you could allow every student to move at their own pace while getting help from the teacher and peers. Once every student can go at their own pace, then you can ensure they master concepts much more deeply before moving on to more complex topics. 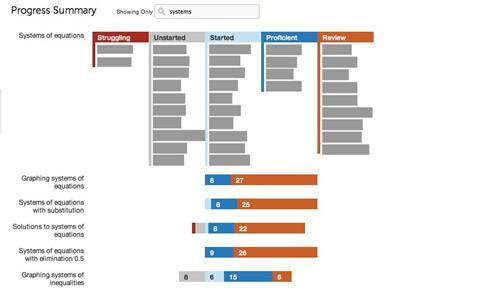 You recently introduced more complex coaching features on the site. Can you talk more about how they work, and how you would like the platform to enable richer human interactions around teaching and learning? While we wait for Sal's response, here's a picture of him answering your questions. Yes. 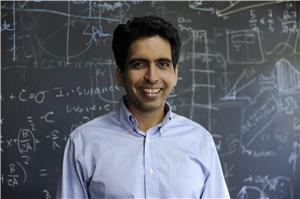 The goal of Khan Academy has always been to be much more than a video library. I actually started working on the exercise/teacher-tool part of Khan Academy before making the first video (and the first video was just to complement this software). We have always been about trying to use technology to make learning and the classroom more interactive so much of what most of our team is focusing on right now is the interactive content and teacher dashboards. Teacher dashboards? What are those and what do they do/ how do they work ? So you're really giving teachers (and parents?) 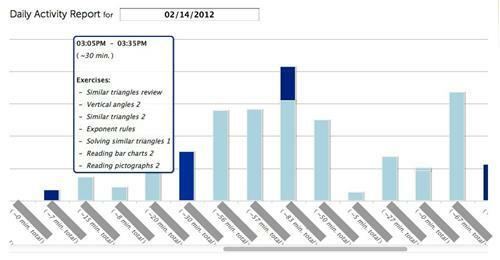 the opportunity to do a deep dive on students' progress. What do you know about how educators are putting this info into practice? Those were just some indicative screenshots. The idea is to allow the teacher to make sense of where all the students are. They can use this info to do direct interventions with students or pair up students to help each other. It can also give the teachers confidence that the class is ready for a project or maybe an end-of-year exam. We are seeing educators using this in tons of different ways and much of the design of these dashboard was based on feedback from educators as to what they'd like to know about their students. I have another question, and then we'd better get to the audience. 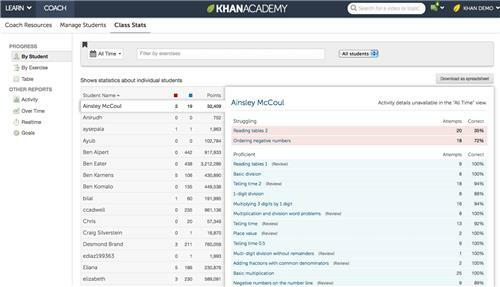 I'm curious to hear about how Khan Academy is using analytics to improve its offerings, and learn about learning. Here's a post in Fast Company about one small Khan Academy change that had a dramatic impact on student success. Yeah, for an organization of 50 people, 7 are devoted to analytics/learning science. We have post docs from several universities who are doing learning science research on the platform. We also are constantly running on the order of 20 experiments at any given moment to understand how to optimize student learning and engagement. Can you give a quick example of things you might be testing to optimize student engagement/learning? Some things are as simple as changing the types of hints given for an exercise. Others are things like seeing what happens if we give students "growth mindset" quotes (quotes that emphasize effort/perseverance over ability) while doing math problems (based on the work of Carol Dweck at Stanford). Awesome. Thanks. Ok, from the comments. There are a number of questions about extending Khan Academy's reach to remote places with low Internet connectivity, from the rural US to India to Africa and beyond. What are you guys doing about that? That is a tough problem with no easy solution in the short-term. The main work of Khan Academy right now does assume decent connectivity with the hope that this becomes ubiquitous over the next 5 or 10 years to all the areas you mention. With that said, we do want as many people as possible to make use of our resources in the near-term so we have partners who have taken our work in offline form-factors to more remote places. Related, a story that Anya wrote about KA-lite from last month: "Idaho Prisoners Use Khan Academy Offline to Study for GEDs"
There are a couple of questions about the "knowledge map"--people see this as a really great resource, and also wonder about its future applications as a tool for independent learners. What do you think? Those blue tiles on the right represent the knowledge map and a students relative understanding of the various topics. We had a question about whether you'd written any books. Here is a link to Sal's book, The One World Schoolhouse. There are some highly motivated individuals who have already done things along those lines (maybe not starting quite as early as 1st grade) and our hope is to always allow for that (and improve the game-mechanics on the site to increase the number of people who are "highly motivated"). And even then, we believe these folks would benefit from also experience a physical classroom focused on projects/discussion. The more widespread use case we hope for is students getting and practicing their core skills at their own pace from us (and the teacher getting good data to make them feel good that this is happening) which frees class time for richer interactions. Sal, what d'you make of the article in Fast Company where Sebastien Thrun basically admits that MOOC's are broken (which is why Udacity is pivoting to corporate training)... I think the decision had something to do with the really low completion rate of online courses. Do you think the Khan Academy approach has an inherent advantage over these MOOC's that are more like traditional university courses delivered in an online format?